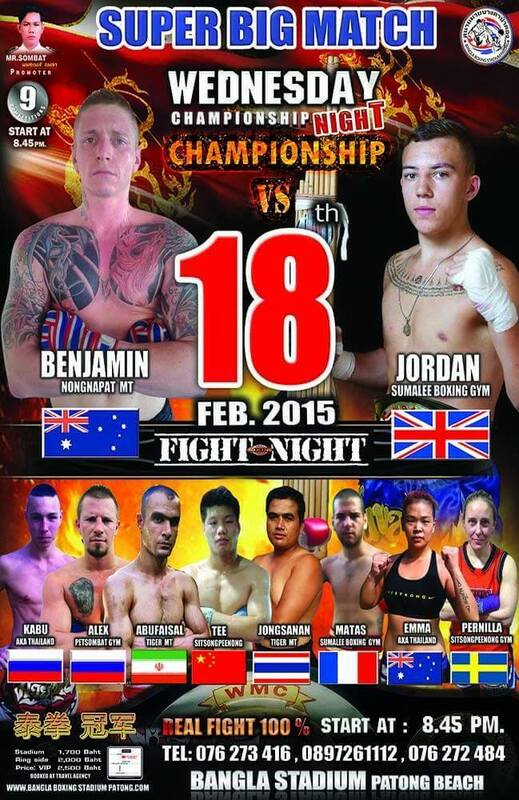 Fight 15 marks the first fight for 2015 and also my first fight under AKA. Needless to say, I was really wanting a good fight and a win for AKA, but like most fights, it was not without it’s obstacles. It’s always tough swallowing a loss, but here it is. Training for this camp was severely delayed as I picked up cellulose in my left knee in Australia so I was unable to start training when I returned to Phuket. A significant lay off meant I had lost a lot of my fitness, which was what I was trying to avoid! In typical Gemma style, I launched myself back into some high intensity training immediately. With the forced rest over the Christmas break I was eager to get myself back into good shape and get my first fight under way. I added the Airdyne Circuit into my morning routine; a high intensity circuit class offered at AKA, using assault bikes. For those of you who are not familiar with these bikes, here’s a picture for you. Who ever named them an “assault” bike was on the money. You feel like you have been assaulted once you step off one of these death traps. Regardless of my feelings towards this particular piece of equipment, the circuit we do is so amazing, I noticed that even with a chest infection, my cardio was good for this fight. 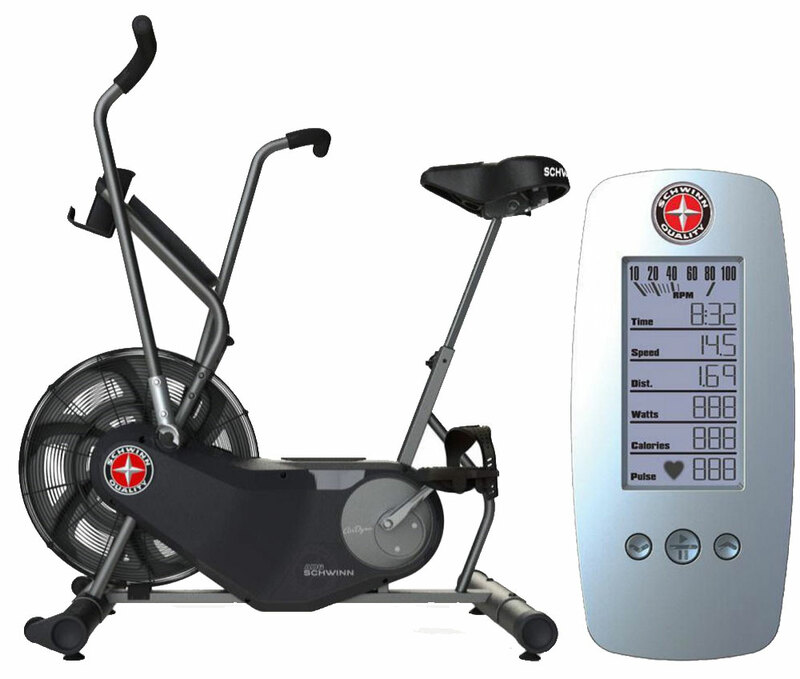 Our circuits run for 25 minutes (our pro team does 30 minutes), 1 min on the bike trying to keep the speed of the bike as high as possible, straight off the bike for a minute of an assortment of different exercises. 10kg wall balls, burpees, squat jumps, knees to the bag, teeps to the wall, things of this nature. Your active recovery is the time spent OFF the bike. That’s right – 1 minute of burpees = active recovery. As you can imagine, 4 sessions of this every week on top of my Muay Thai sessions meant I got my fitness back pretty quickly! The bonus of this for me is not having to run every day. I still want to incorporate a long run into my week but I am finding I am getting better results from the Airdyne Circuit. Suffering from shin splints and recurring stress fractures, it’s nice to have a different option which will improve my cardio and build my explosive movements and power. Training at a new gym is always a different experience. Different personalities, different training partners, different trainers, different class structure – it all took a bit of getting used to, especially not having one dedicated trainer. I thought I would hate it, but surprisingly enough, I think it’s making me better. I have trained with all of our trainers, all of who have completely different styles. Each trainer has their own techniques and combinations they like to use and throw. It really keeps you guessing and I believe it’s going to expand my toolbox considerably. I was originally set to fight on the 6th of March. Unfortunately my fight got pushed, but only until the 8th; 2 days – perfectly acceptable. I was all ready to go, hair done, rested, fed, then at about 3pm that afternoon I receive a message from my manager telling me that my opponent has withdrawn! While I realise that this is a harsh reality for fighters across the globe, I found it difficult to accept taht my opponent had pulled out within a matter of hours of needing to leave for the stadium! I was gob smacked, and truly disappointed. I was assured that my fight had been moved to the 18th, but the mental battle of not feeling devastated and then setting my alarm to get up for another week of fight training; it was tough. I re commenced training on the Monday only to fall really ill on the Wednesday. I was so determined to fight but ended up bed ridden for almost 3 days with a high fever and on a high dose antibiotics. I was only able to return to training on the Saturday, of which we ended up doing a light beach training session. Come Monday, I was still coughing and taking extra medication in an attempt to clear out my lungs so I could breathe. Come fight day, my lung capacity was still only at about 70% and I hadn’t shaken the hideous cough I had. My friends in the nosebleeds could see me coughing in between every round. Not ideal, but manageable. In amongst being sick, I had discovered I was to fight Monica Brenes. Without going into too much detail, this was the fight that ended up in me, very unfortunately, being booed by my opponent as my hand was raised. Needless to say that people are eager to see us fight again. After another change in opponent, I quickly received messages about my new opponent. Swedish Superstar, Pernilla Johannsen. Everybody! Meet Pernilla. I knew that Pernilla had been out of the ring for an unknown amount of time, but when you are facing off against a true veteran of the sport, you don’t want to leave anything to chance. I ordinarily don’t research my opponents as I need to learn to trust more in my own skills, rather than fall into the traps of someone else’s game. I won’t lie. I watched one of Pernilla’s more well known fights again Nong Toom and it definitely weighed on me a bit. So did the concerned messages, politely warning me who I was up against. I blocked most of it out, but it definitely created a small wall in my mind. I wasn’t sure why I got matched against someone this good, but as always, I welcome the fights that test me and push me. I half expected Pernilla to come charging at me like a bull at a gate and was very pleased when she did not do this. Immediately I noticed how calculated she was when she fired her first combination at me. She wasn’t wasting any energy doing anything she thought she wouldn’t land. I kept inching forward in round one and we both finished off pretty evenly. Having a completely new corner for this fight was really interesting. Hehm, my main trainer, was actually telling me not to go forward for the time being. To wait and put the pressure on later. This was quite interesting to me as I’m used to being told to move forward. As we entered round 2, I began to just wait, attempt to counter and defend myself. It was a really bizarre round for me as it’s not the way I am used to fighting and it resulted in me feeling as though I hadn’t actually done anything. When I returned to my corner, they were pleased. A few words on encouragement and some basic instructions – it was time to move into the clinch. It was really great to be in the clinch with someone who was more skilled than me. She was throwing hard knees into my torso, but thankfully I hadn’t lost all my conditioning. I felt like I controlled the fight for this round and my corner confirmed this after the rounds end. As we moved into the 4th round, Pernilla became more active. She was using her combinations more and really stuffing me in the clinch. She was using an excellent side front kick, which I can only assume comes from her Taekwondo days. I was unable to really defend against it, simply because I didn’t know how. She really controlled me in that 4th round so we knew the fifth was going to be important. It was funny that I had realised, I was using advice that my Sinbi corner had once given me. Don’t throw lots of knees, throw less knees but make sure every one of those knees is with power. So this is what I was trying for. Funnily enough, my new AKA corner gave me the opposite advice for the 5th round. Get into the clinch – throw lots and lots of knees – we will tell you when to stop fighting. So that I did. I went into the clinch and controlled Pernilla, throwing as many knees as I could. It got the point where she wasn’t throwing knees back. About half way through the 5th round I looked to my corner and they told me to control – stop fighting, and just teep. Pernilla looked as though she was doing something similar until she started throwing that side front kick at me, followed by a few extra combinations. I kept looking to my corner and they were all signalling the same thing – to keep doing what I was doing. In the back of my mind, I felt like I should have kept pushing the pace and getting those knees in, and surely enough, the decision went the other way. At the end of the day, I have to trust my corner. They aren’t always going to get it right, but my lesson learnt here is that I can trust my gut as well. Pernilla was a great opponent. She split her shin part way through the fight, just from me checking. She was calculated and on the ball. I’m really pleased to be fighting woman like her. I was very fortunate that my trainer recognised that the loss was partially in their hands. The corner apologised to me but told me how happy they were with the way I fought. They said I have a big heart and now they know how to train me for my next fight to build on my strengths. At the end of the day, losing to a veteran, and building a good relationship with my new team was way more important than winning. No dis credit to my opponent, she beat me fair and square, but I also had a few things working against me on this one. I got to face off against a true veteran, without getting steam rollered. It was not my best fight by a long shot, but I felt I was being more calculated and really felt like my brain was working. I’m looking forward to my fight next Sunday. 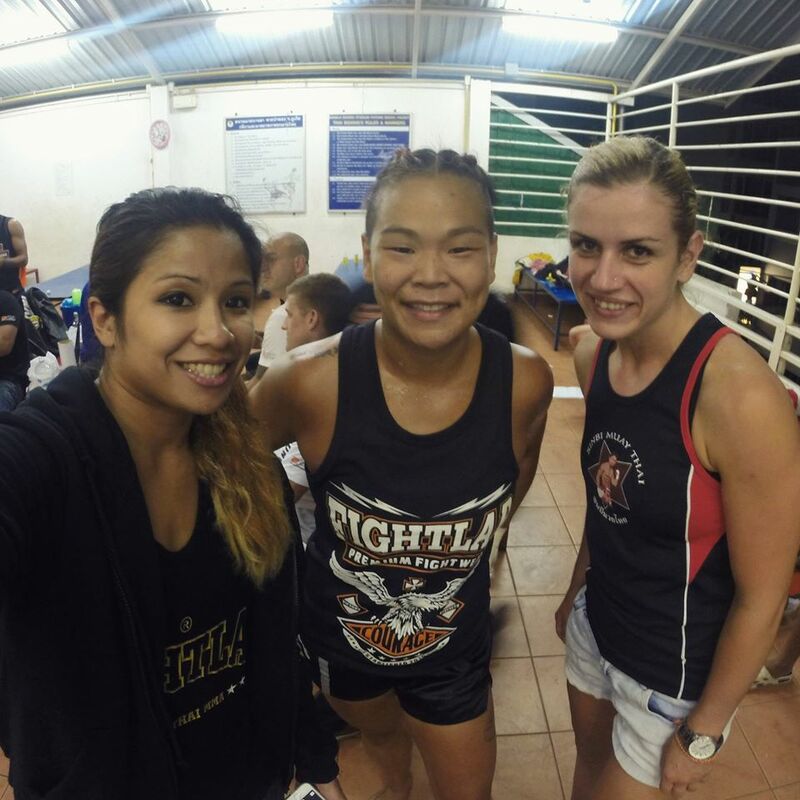 A bit shout out and thank you to my sponsors – Kombat Cafe, Patong Pro Nutrition, Mayhem Muscle Wear, Absolute MMA, DHF Woden and Manage My Media. You guys continue to show me the love, support me in my goals, and you are all helping me reach them. I couldn’t be here without you! Thank you! I really appreciate the kind words. I think I just love fighting so much – I’ve only ever withdrawn from one fight, and I only pulled out because I ended up in hospital!!! If you come over to Phuket – definitely come visit AKA. It’s a great facility – you might enjoy it! ← 2014 – what a year!! !